There is great pleasure in owning a house and calling it your home. Most people nowadays are pressured to buy into the housing market because everyone seems to be doing it. However, your personal circumstances, along with other external factors in real estate, can impact the right time for you to finance that perfect place. If you’ve been programmed to think that purchasing a house as early as possible is a must so that you can build your assets, and having mortgage debt is okay because it’s good debt, then it’s crucial to do more research. With little to no rate of return in recent times, hoping to pump money out of that property in the near future looks like a faraway dream. Real estate has become a poor investment over the years that you’re better off trying your luck in bonds and the stock market. When you think long term, it is feasible to buy a house. You get to belong to a community, have a sense of stability, and there is a pride of ownership that allows you to turn that property into anything you desire. With all that in consideration, do you even have what it takes to own one? House maintenance is no joke especially if it costs about one percent of your home’s purchase price. Let’s say you bought a 400,000 AUD home; you need at least 4,000 AUD for its annual upkeep. You also need to consider factors such as the property’s age, weather conditions in the area, and the location. Places with extreme weather can wear and tear down a house in time. That’s why when you have to scrape by to pay for an apartment, it’s time to either find a job that can give you a higher income or get a roommate. Sharing a place can be a lot of fun, and you’ll get to save half of what you usually allot for rent. You can conveniently look for real estate on Gumtree as the properties listed there are affordable, and you might even catch a good deal on a spacious house for rent if you split the costs with two or more individuals. 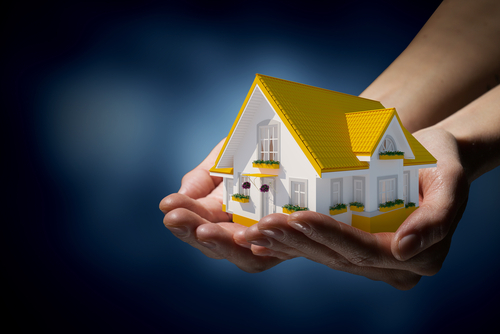 It’s essential to equip yourself with the knowledge using a great home loan guide before purchasing your first house. Think about mortgage plus the taxes and interest that come with it. You have to decide on what type of loan you want, the interest rate you’re willing to pay, hidden fees, and how much you need to borrow. The key is research and finding the most suitable lender for you. A bad credit history is a sure fire sign that you’re not ready to buy a home as it’s something to add to your list of headaches. 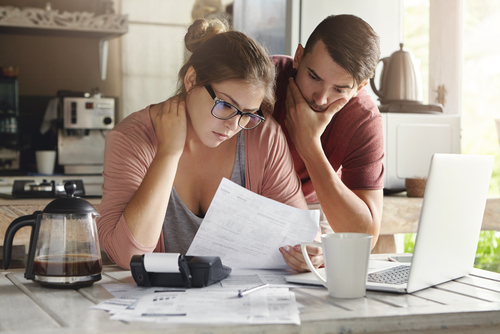 When your credit cards and other loans take a massive chunk out of your monthly gross income, then you should focus on paying them all off for the time being. Once you’re able to lower your monthly recurring debts or start earning more money, banks will approve your home loan without a problem. It’s important to reassess your financial history first in deciding whether or not buying a home is right for you. Let’s say you have a great career and life is excellent. However, you’re required to relocate to another state every three years. Unforeseen circumstances can come into play, such as falling in love with someone who lives miles away or having to move back to your hometown because of family. So unless you’re permanently assigned a city to work in, keen on settling down with a partner, and no one can persuade you to move elsewhere for the next decade, you might as well postpone buying. Purchasing your first house is a huge commitment. Aside from being financially ready, you have to have the right mindset to think long term on making your house a cozy home. Renting is an efficient option while you take some time to build or improve your credit. You don’t want to waste your savings on the down payment if you can’t afford the mortgage in the end. In the meantime, invest in yourself and learn new skills that will help you earn more income, making a big decision like buying a home easier for you.